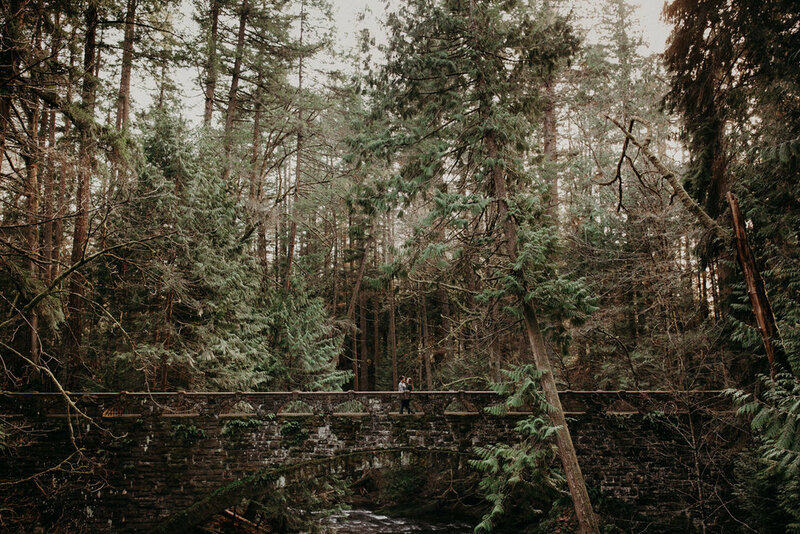 What a lovely evening it was to photograph this engagement session in Bellingham, WA! More often than not, when I shoot an engagement session it's my first time meeting a couple. However this time I was able to shoot my good friends, Dawson and Katie! Even though they are both from the lower mainland, they really wanted to do their photos in the Bellingham/Fairhaven area. As you can tell by the pictures, we got to explore some amazing locations including Whatcom Falls and Clark’s Point! These two really have an amazing connection, and it's great to know that not only do they look great together, but I can tell that they will be with and support each other through thick and thin. I am so excited for them to get married in October! Congratulations! !